Courage and the Past – Patrick F. Clarkin, Ph.D. I saw the above quote by James Baldwin over the weekend on social media, and my mind started making connections as to where it might apply. It could apply to personal wrongs and failures, or to wider historical ones, which of course is what Baldwin was referring to. By coincidence, the New York Times had another relevant story a few days ago about the reluctance of the Turkish government (and most of its citizens) to acknowledge the genocide of Armenians that occurred a century ago. It makes me wonder where, exactly, that reluctance originates, and why it can be so stubborn. Last year, the New York Times (again) ran a collection of short essays on overcoming difficult pasts (“Turning Away From Painful Chapters”). Examples included the brutal murder of a British soldier on the streets of London, domestic violence against women in the UK, the Spanish Civil War, the killings in Rwanda, the Holocaust, and the legacy of American slavery and the brutality of Jim Crow laws in the US. Perhaps there is no single way to deal with difficult pasts. In some cases, Truth Commissions may foster healing rather than running the risk of letting old grievances fester by burying them. In others, the fear is that picking at old wounds may destabilize things if a society is not ready for hard truths. 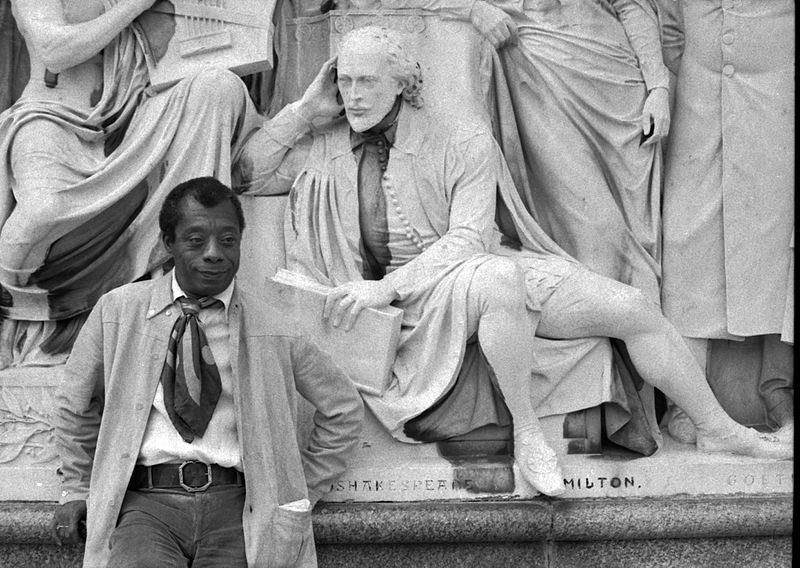 In the end, I agree with Baldwin and think there is courage in facing difficult pasts. As I’ve written before, it has been done, including the Japanese government’s apology for colonizing Korea, the British apology for Bloody Sunday in Northern Ireland, and the U.S. Senate apologizing to African-Americans for slavery and segregation. And my favorite example comes from 2007, when the Danish government apologized for the Viking raids of Ireland, which occurred 1,200 years earlier. If an apology can be extended (and accepted) after a millennium, then perhaps there is no statute of limitations on confronting a difficult past, for understanding, or even for reconciliation. Finally, I’m going to tack this on here, if only because it’s Maya Angelou, it’s powerful, and it fits. This entry was posted in Cooperation and conflict, Reconciliation and tagged ALP, Armenia, History, Hope, James Baldwin, Turkey. Bookmark the permalink. Pingback: Year in Review: Top Posts of 2015 | Patrick F. Clarkin, Ph.D.
Pingback: The Allison Center for Peace – Patrick F. Clarkin, Ph.D.